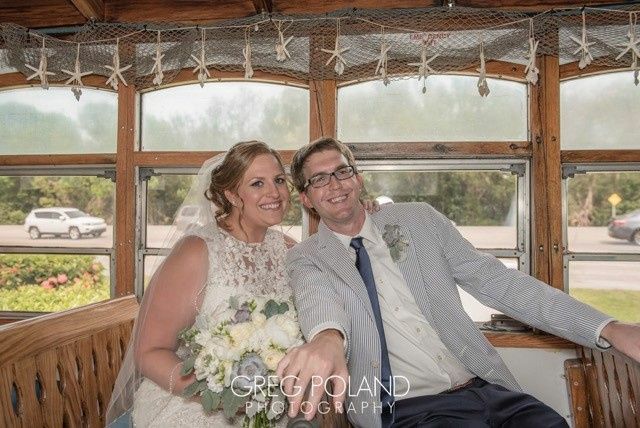 Island Time Trolley is a wedding transportation company located in Tavernier, Florida. 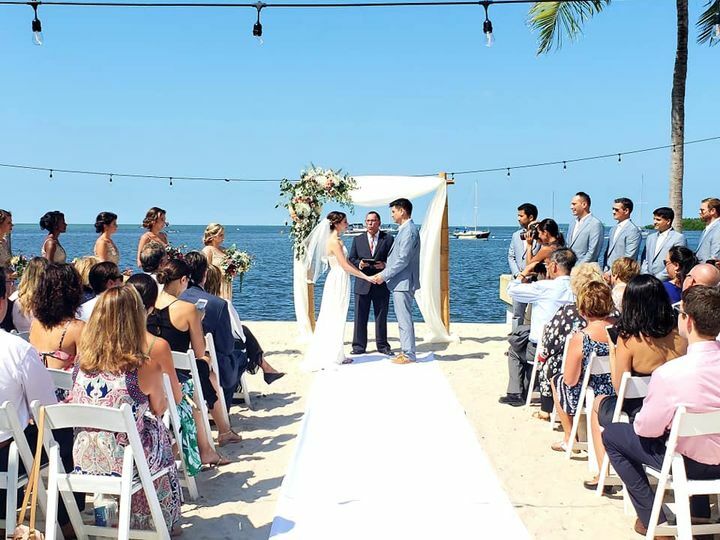 Since 2012, the company has been specializing in providing group and wedding transportation in the local areas of Key Largo, Islamorada, and Marathon. 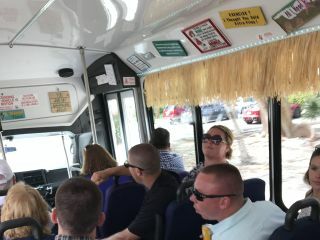 Island Time Trolley gives couples and their guests a one-of-a-kind ride experience with their trolley, designed with oak interiors and gleaming wood floors. Its friendly staff and CDL-licensed drivers help couples by giving suggestions about the local attractions, sharing fun facts, and recommending excellent places to eat. 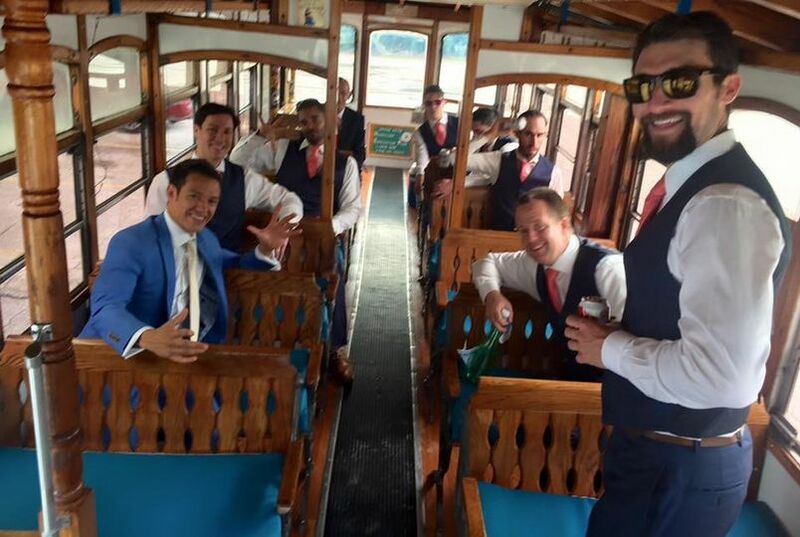 Island Time Trolley offers party buses, shuttles, and trolleys for weddings, with red carpet service. Their vehicles include amenities such as a bar, a DVD player, flat screens, bottled water, fiber optics, premium stereos, and wedding signage. Couples can hire the trolley for two hours with driving services which can include multiple locations, and one-way or round trips. 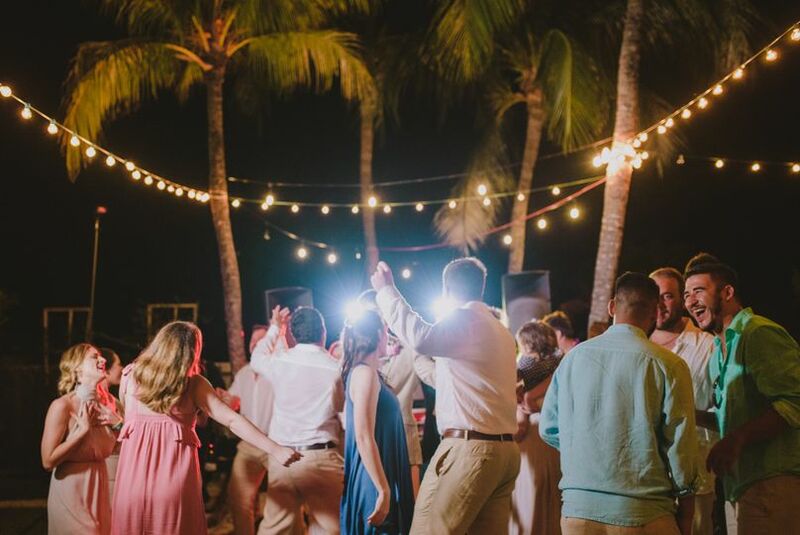 Trolley interior up lighting for setting the right tone for your wedding or rehearsal events. Family fun on the Trolley! Group travel to see Dolphins at one of the many Dolphin facilities within Key Largo and Marathon. 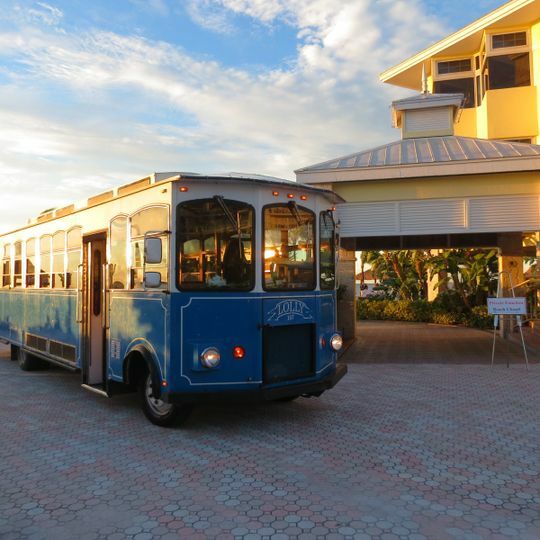 Trolley service to Marker 88 for an amazing Sunset view! Your driver Jeanne, will treat you and your guests like VIP&apos;s! Your driver Jeanne! Happy to create a very memorable event for you and your guests!! 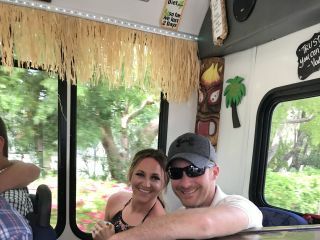 My wife and I were extremely happy we chose Island time trolley. They were very responsive to all my questions and even made it possible to stop at all of our guests hotels for pick up and drop off. They placed signs in each hotel directing our guests where pick up would be (so no stressing for you or them). Jennifer even came the day of to grab all our beverages we had for our guest for the ride. All our guests were very happy to have this and said the driver was very nice and patient!! A great addition to our wedding, making the day so much easier! I highly recommend Island Time Trolley. We were worried about parking because our reception venue had limited space. 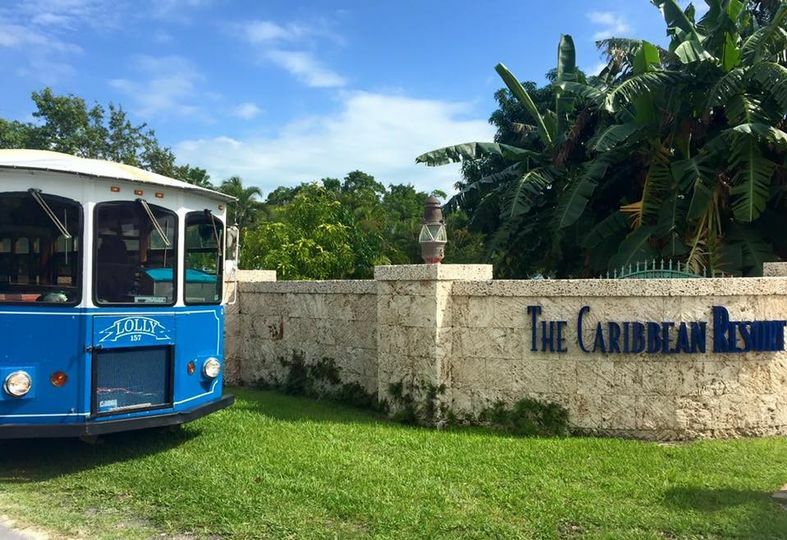 We actually hired Island Time Trolley to transport guests from the church/ceremony to the reception and back at the end of the evening. They were on time, friendly, and quick, and very budget friendly! 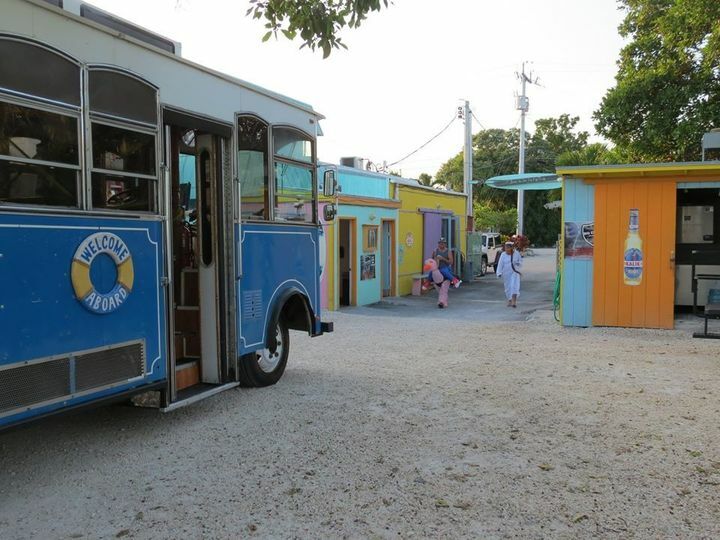 If you are worried about parking or driving in the Keys, this is the way to go! It was our pleasure to be a part of your Wedding Day !!! 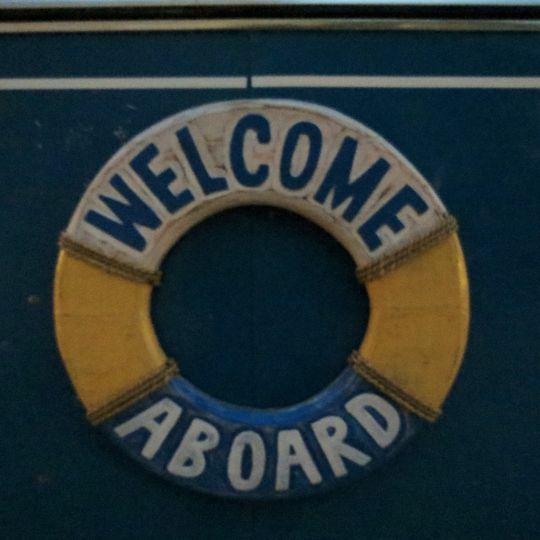 Thank you for choosing Island Time Trolley !! 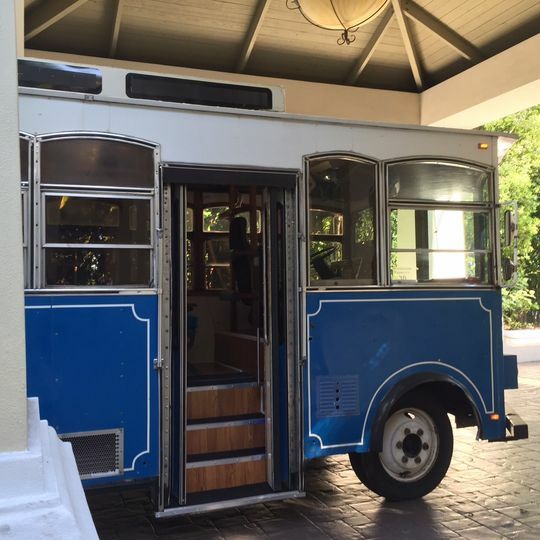 We used Island Time Trolley to transport all of our guests to and from our outdoor beach wedding. It worked so seamless and guests loved having the option to take the trolley to and from vs. driving or having to get an uber. All guests had nothing but good things to say about the experience and trolley itself. Jennifer was super easy to work with and gave a couple of options for how the pickup and drop off could go based on our guest count and where they were all located. My only complaint is that I didn't get to go on the trolley since our venue was also the house we stayed in! I highly recommend for the ease of guests as well as the price! 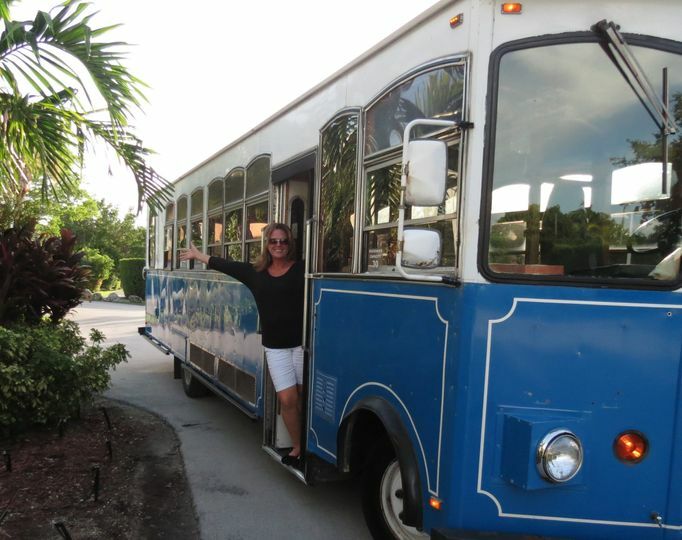 Island Time Trolley is a fantastic service for events, weddings, or group outings. We have had nothing but great feedback from those who we have recommended to Island Time Trolley. 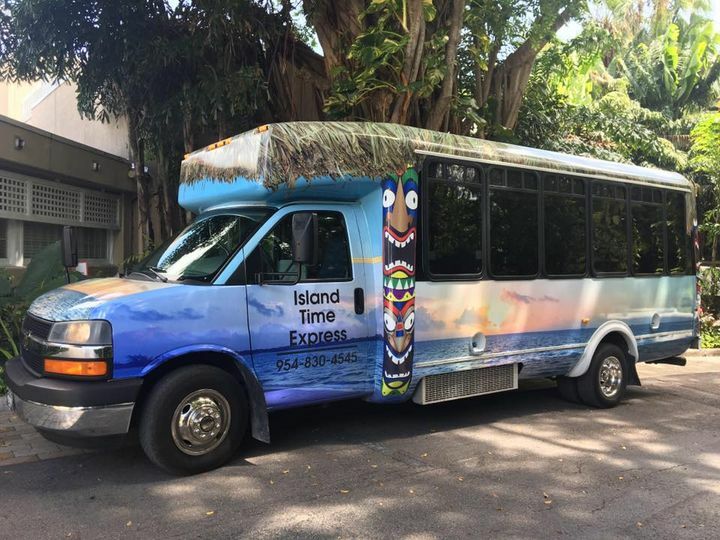 Island Time Trolley is the one stop shop for all your transportation needs. 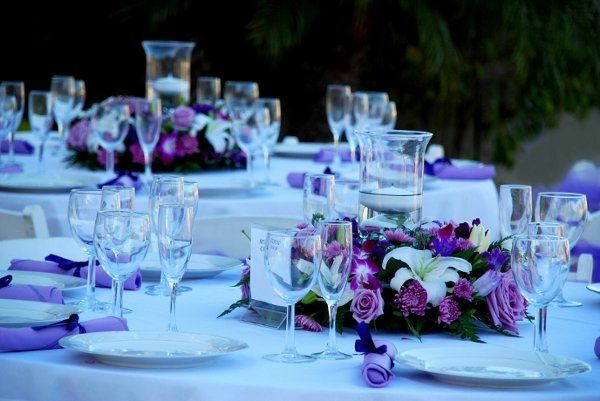 Jeanne will take care of all your needs for any wedding or event!! !